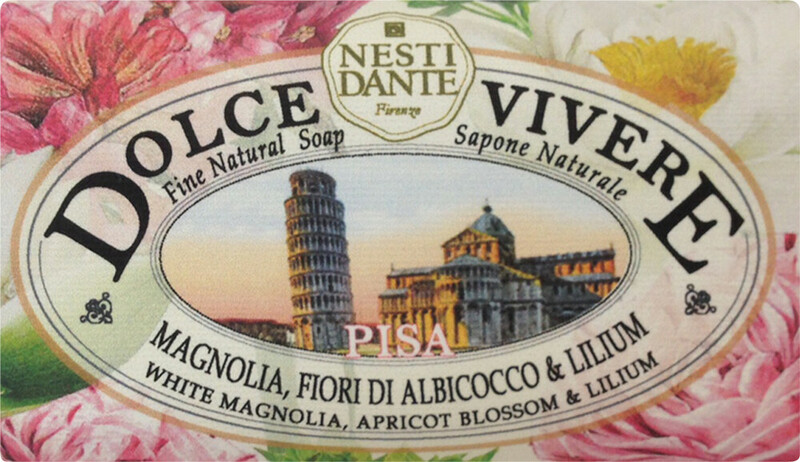 Capturing a snapshot of the sun setting over the city, the Nesti Dante Dolce Vivere Pisa Soap has a warm and embracing fragrance. Inspired by the last rays of the day and the way that they wash the iconic structures of Pisa in an otherworldly glow, the soap enchants the senses with its notes of plush white magnolia, sweet apricot blossom and elegant lilium. The luxurious soap pampers skin with its formula rich in natural vegetable fats. The traditional method of saponification used to create each bar ensures longevity, producing a generous lather that caresses skin with softness.